With Thanksgiving and the holidays on the way - and plenty of visits with family and friends - the need for host and hostess gifts increases exponentially this time of year. Oftentimes, choosing something simple and traditional is best: a bottle of wine, a sweet homemade treat or a small box of chocolates. I feel these gifts should always be personalized somehow and wrapping is one very easy way to do that. I've always loved the clip-art craft that comes in almost every issue of Martha Stewart Living magazine. (I actually have dozens and dozens of the clip-art PDF files saved on file from past issues!) In this year's November issue, there is a delightful clip-art project to bring a personal and seasonal touch to your hostess gifts. 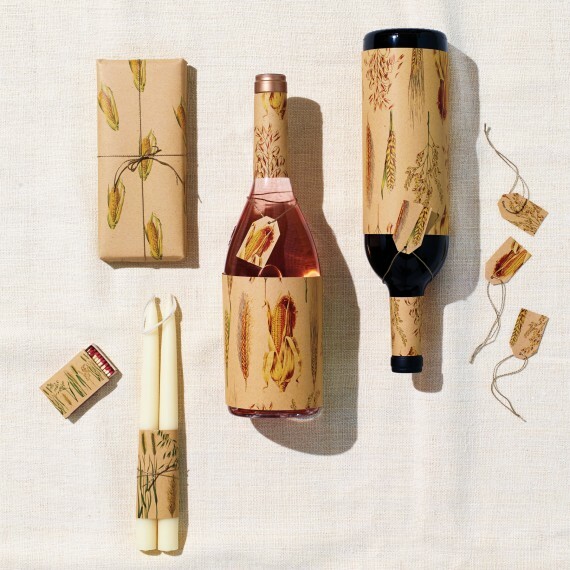 Click here to download the clip-art and put your imaginations to good use: create wine labels, wrapping for chocolate bars, matchboxes and candles, or simply use the patterns to create small gift-tags and stationery. Print and cut. That's all there is to it! So pretty, beautiful and very creative ideas Thank you Andrew.